Amazingous has self-awareness in abundance, with a cartoony aesthetic in both design and sound that contributes to a fun, surprisingly varied indulgence. With a name like Cheeto’s Magazine and album art that should be on the side of a cereal box, it’s easy enough to say that you know what you’re getting into long before you click that play button. Silliness is sure to ensue, with good times promised in its colorful aesthetic. What could have been a meandering set of awkward tirades and an overall cheapened experience, though, is thankfully gleaming with a jovial ubiquity that is sure to leave you smiling at least once during its runtime. The group often teeters on a fine line of self-awareness and earnest, playful instrumentation. This is more of a mantra to Amazingous as a whole than a simple reflection. Vibrant and impressive displays of ability belie the seemingly simple song structures and absurd presentation. This ability helps create a cohesive experience in spite of the adventurous soundscapes and arrangements. The record is consistently melodic, while maintaining an eclectic variability that makes most, though not all, moments feel distinct. There are quite a few elements vying for your attention at any given moment, and as such, there’s a lot to parse here. The main melodic lead is the incredibly versatile keyboard performance. Wide, voluminous tones run parallel with bouncy refrains, intentionally abrasive gritty keys, floundering textures, and all manner of upbeat divulgences. The vocals are a hodgepodge of Muppet-like proclamations and clean phrasing reminiscent of Salvatore Marrano. And let’s not forget the surprising amount of guitar solos strewn throughout the album that complement the occasionally heavier, riff-oriented ornamentations. You’re in for a cartoony experience in every sense of the word, and the record revels comfortably in this sphere. Which is why in the few diversions from this into more traditional and serious territory stand out – or fade away – in the mix as much as they do. These moments are not terribly frequent, and they are by all means quality, but slow the pace in this otherwise brisk experience. The exception here is the unexpectedly long “Big Boy” that, at a lengthy twenty-five plus minutes, closes out the album. Here, the more traditional sound is ultimately the focus, and the at times complex and theatrical melodies hold the stage well. It makes me wonder what a more serious project from this group could look like. What holds less well are the overuse of audio samples. The exploration of sample work is not only expected, but often welcome in such an outrageous structural design. Unfortunately, they aren’t always well placed, and occasionally take you out of the experience. And what an experience it is. When it comes down to it, such an intentionally ‘cheese’ filled adventure should not be as impressive as Amazingous is. Muppet vocals and Saturday morning cartoon choruses shouldn’t fit this well alongside spurts of beautiful piano, melodic guitar solos, and a 25 minute epic. It’s a testament to the ability of these musicians that the album is as fun and engaging as it ended up being. 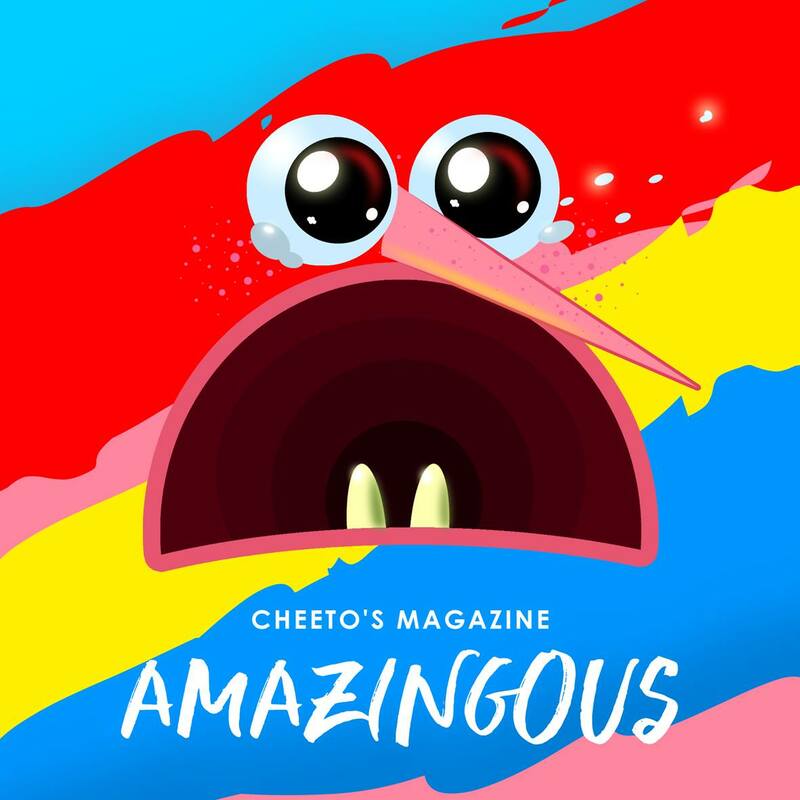 Even with some moments shining a bit less than the rest, and the mindset needed to fully enjoy it plastered in the pastel colors of the cover, Cheeto’s Magazine provides something so much music is devoid of today: fun. Simple, unrestrained, and wholly appreciated. Previous PostStarve To Survive - "Have Me To Waste"